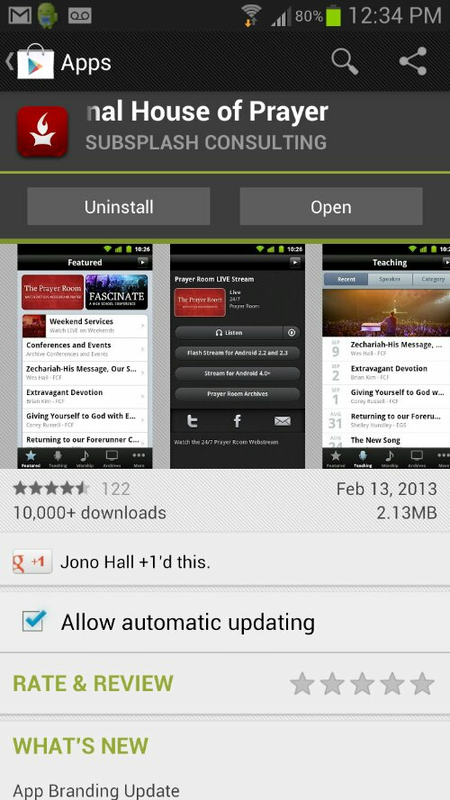 Goto the Google Play Store, they havevsn official app now. As we sat around after the big Grillin’ BBQ a couple of us started talking about how we wished there was an APP for our phones that allowed us to stream the Prayer Room on our mobile devices. Brian (who runs an HD2 Windows Mobile) said he could. I already knew that Windows mobile could but he then elaborated on another means to do so for other phones such as Blackberry’s, Android, and the Iphone…. 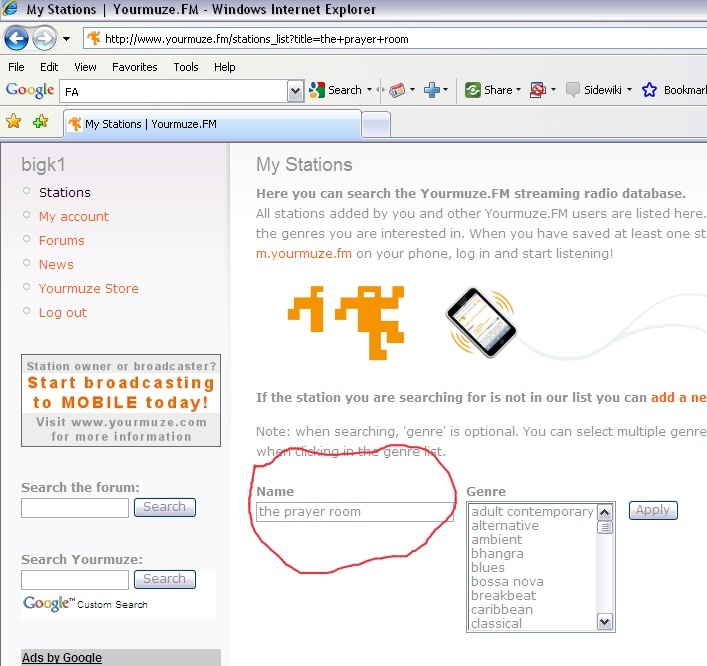 In My Stations Type in “THE PRAYER ROOM” and add the station to one of your list. We did this on an Iphone and an Android device (Myouch Slide). It worked with the Iphones regular browser BUT for the Android we had to use the Opera browser. We have not tried it on a Blackberry but if we were able to get it to work on these two I am fairly confident it should work on the Blackberry as well. I have sent texts to people in the IHOP media world about the making of an APP but in the meantime this works NICELY!!!! I added a shortcut to Opera on my homescreen and have it as a bookmark when Opera opens so in two taps I am streaming. On the iphone we put a book mark on to its home screen. Nice.